Visit the archaeological site Ceibal. Ceibal is known to have belonged to a clan of Mayan warriors during its heyday, 700-900 AD. Ceibal came to accommodate more than 10,000 inhabitants. After pickup from the airport or your hotel, you’ll be taken to Ceibal, a UNESCO World Heritage Site. It’s an approximate 1-hour drive from Flores to Sayaxché, where you will continue by boat for another hour on the Passion River. Once you disembark, follow your guide from the river to the archaeological site—about a 30-minute hike through the rainforest. Keep an eye out for birds and other wildlife that inhabit the river region as you walk. 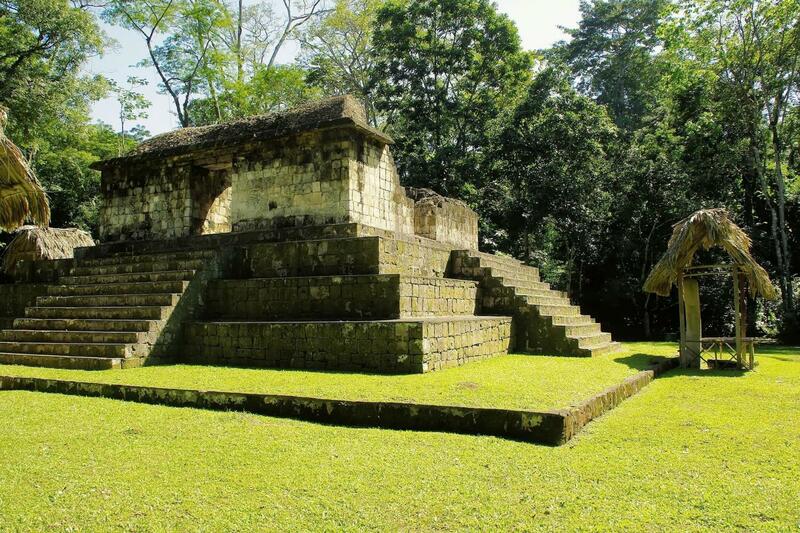 Start your guided tour of Ceibal at the central plaza, the heart of the Mayan world. You’ll have several hours to explore the beautifully preserved temples and stelae in this magnificent Mayan city, whose name comes from the national ceiba tree—considered sacred to the ancient Maya. Ceibal was inhabited during two main periods—the Late Preclassic (300 BC-250 AD) and Terminal Classic (830-950 AD)—until the site was completely abandoned. Known for exquisite Mayan art carvings, the excavated structures of Ceibal are located in dense forest on the banks of the Passion River. Surrounded by lush tropical vegetation, you’ll appreciate the intricate stelae that adorn the buildings, sculpted with the figures of animals and gods. As you view Ceibal’s monumental structures, your guide will inform your group about the north, south and central plazas that contain pyramids and a ball court. Admire the hieroglyphic stairway and altars from the 330-foot (100-meter) bluffs. When you’ve completed your tour, you’ll have time to enjoy a complimentary lunch. Afterward, return to Sayaxché and onward, with drop-off at your hotel or the airport in the afternoon.